Hennebry Pest Solutions LLC is a family owned and operated business with over 20 years experience. Our first priority is the protection of your family and business. Our mission is to exceed your expectations in all areas of pest and animal control. We use environmentally conscious practices and sound equipment designed for the safety of children and pets. We strive for superior service and are committed in exceeding your needs and expectations at every opportunity. 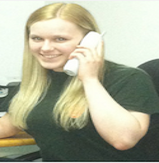 Hennebry Pest consistently offers the best possible solution to each individual pest problem. We are dedicated to serving our communities with expertise, integrity and honesty, today, tomorrow, and throughout the years. Hennebry Pest Solutions LLC is a Family Owned and Operated Full Service Pest Control Company with a combined 20 plus years experience in the business. 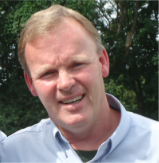 Philip Hennebry Principal, is a highly experienced Pest Management Professional. We continue to offer pest management programs that maximize public health protection in both residential and commercial properties with minimal adverse effects on the environment. Philip Hennebry, President of Hennebry Pest Solutions LLC , continues to handle client relations and sales. He is a highly trained and certified NJ State Pest Control Inspector with licensing in CORE, 7A, 7B disciplines and NJPMA credentialed TERMITE and WOOD DESTROYING Insect Inspector. He is also licensed in Pest Control in the State of Florida where he previously served in the capacity of District Manager for Sears Authorized Termite and Pest Control. He then went on to start his own company which is still in existence today. Phil continues to attend ongoing educational classes with the State of New Jersey to get the latest information in Pest Control management, practices and technologies. Why Hennebry Pest Solutions LLC? Hennebry Pest Solutions LLC is family owned and operated. We are not a franchise. We recognize that your home or business is one of your greatest assets and investments. We understand the safety of your family and pets are important to you. We believe not only in treating the infestation immediately, but remediating the cause at where it starts. We then approach your pest problem with a pest management program that will suit your needs. We offer professional, prompt, courteous, stellar service in all areas of Pest and Animal Control. ALL OUR WORK IS GUARANTEED. We offer free emergency service, late PM stops, and Saturdays. Our knowledge, professionalism and honest work ethnic make us superior in the industry. For more information on State Certification and Pesticide Operators and Applicators licensing, please visit www.pestmanagement.rutgers.edu.